Home > KidsOut News > We’re Going on a Bear Hunt in Basingstoke! 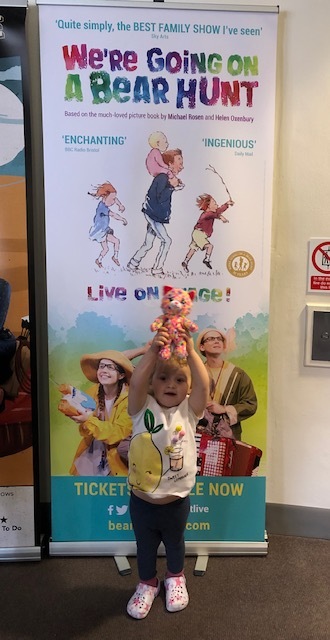 Towards the end of March, groups from the Basingstoke area joined intrepid adventurers on their quest to find a bear at the current touring show of ‘We’re Going on a Bear Hunt’ at The Haymarket in Basingstoke. In collaboration with our partner ‘Kenny Wax Productions’, KidsOut has sent a total of 268 children and adults to theatre shows over the past twelve months, a fact we are thrilled about! A special thank you again goes to Kenny Wax Productions for their continued support. KidsOut are looking forward to organising many more trips leading up to the summer!